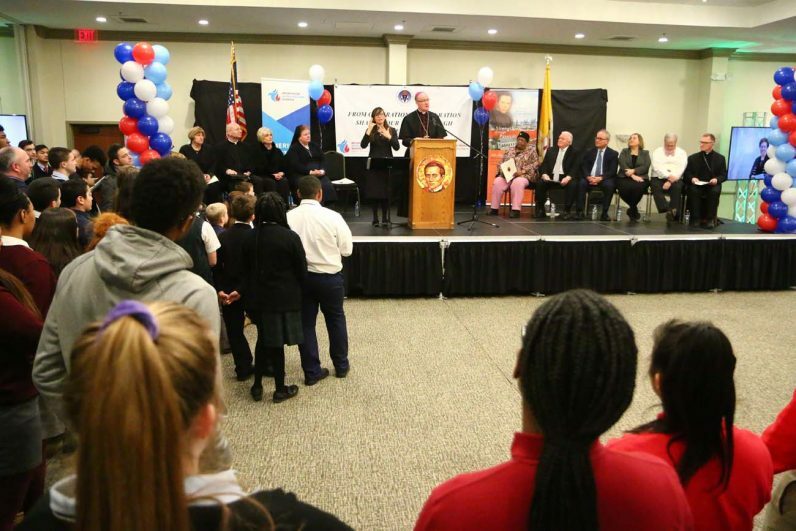 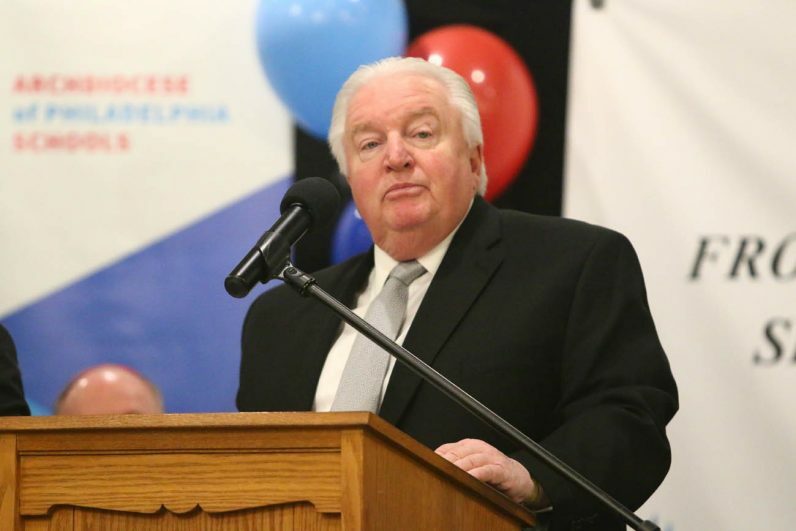 Bishop Michael Fitzgerald, who oversees Catholic education in the Archdiocese of Philadelphia, speaks to those participating in the Catholic Schools Week outreach event. 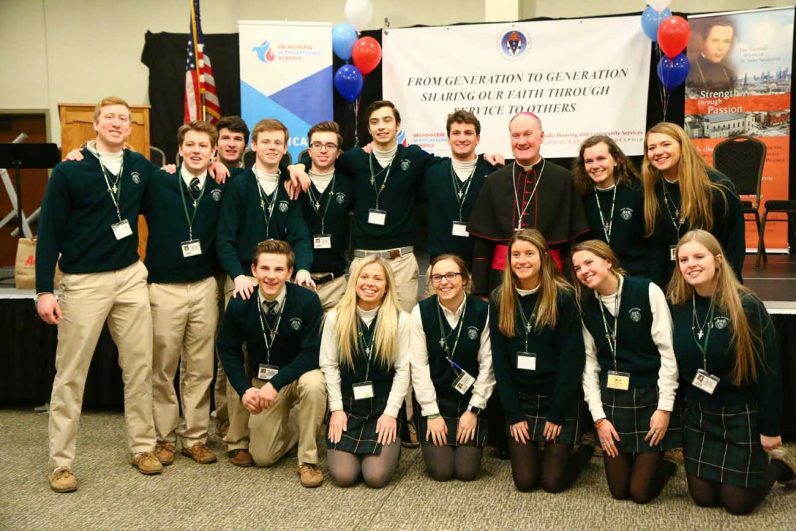 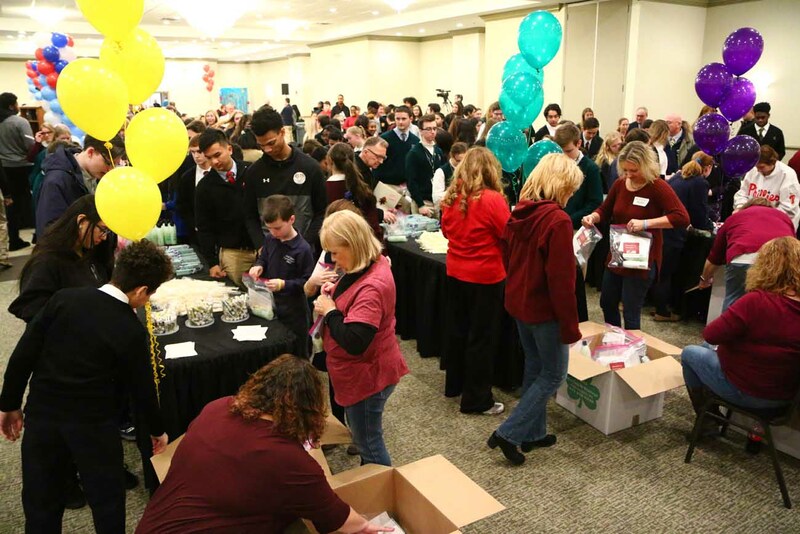 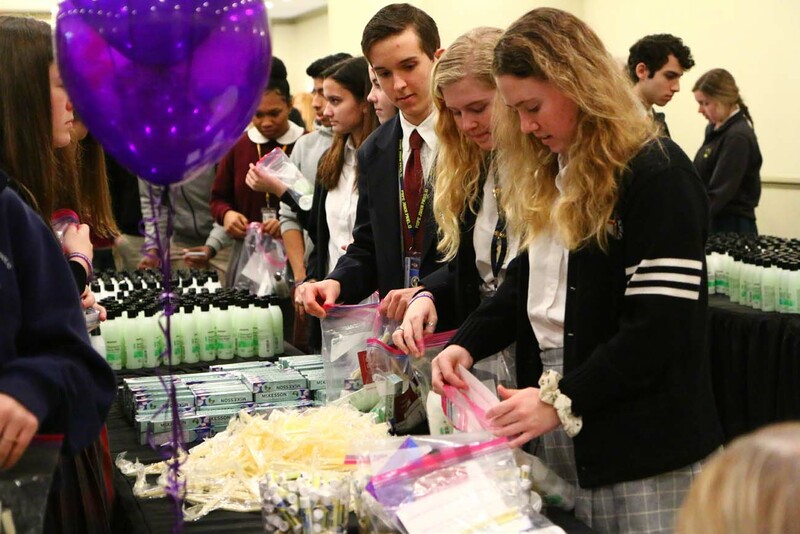 Students work together to package bags of needed items for elderly home-bound residents in senior care programs run by the archdiocese across the region. 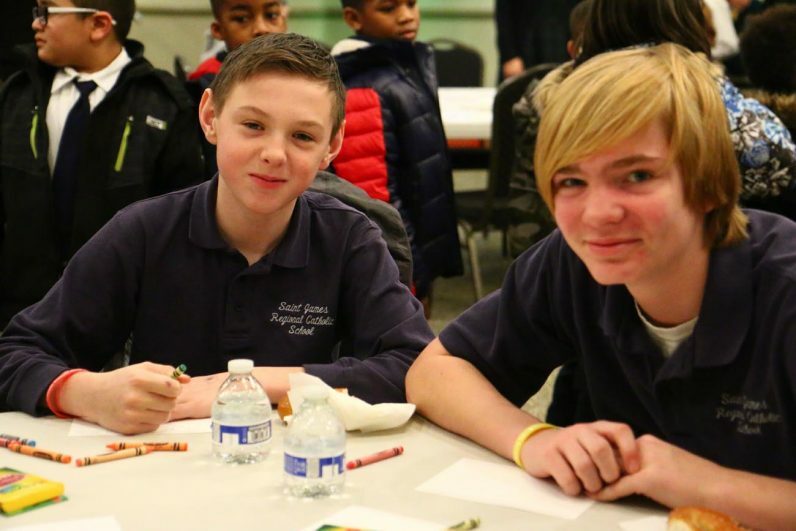 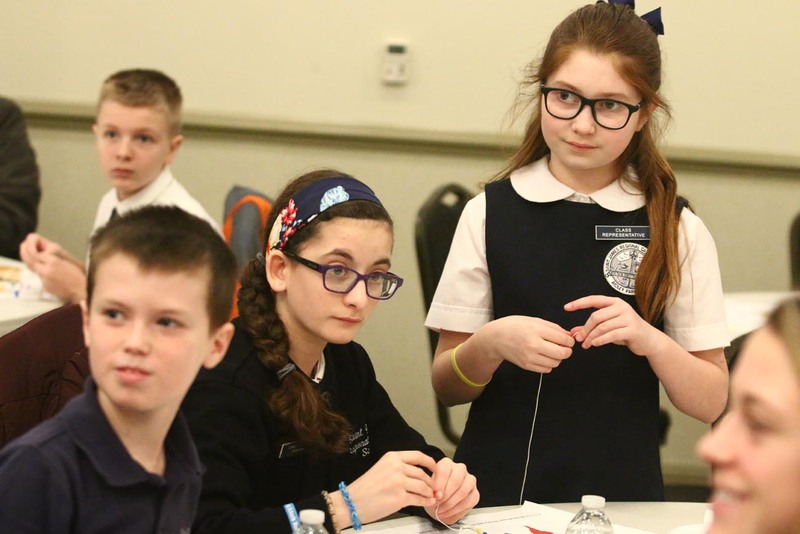 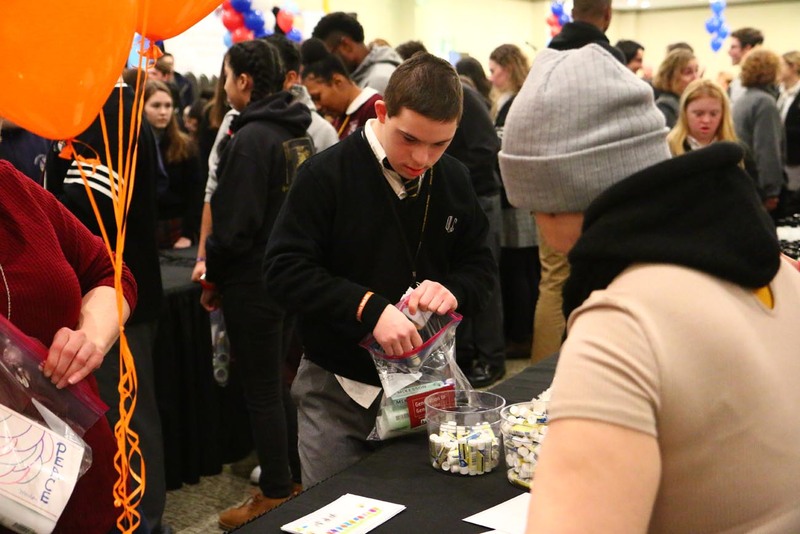 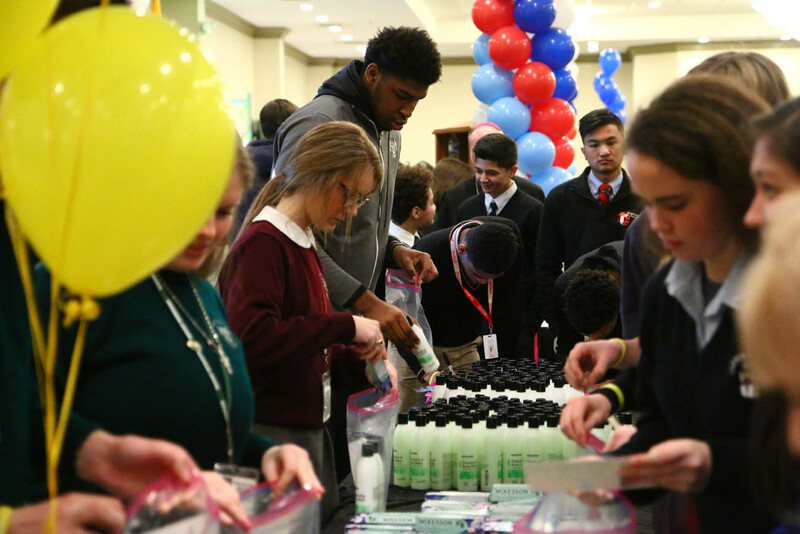 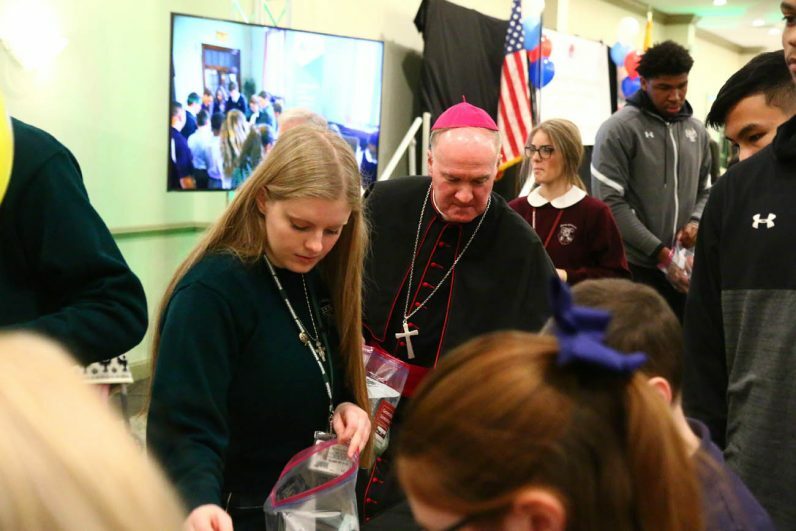 Students from Catholic parish and regional schools, archdiocesan high schools and schools of special education work to fill bags of personal items for home-bound elderly and to make rosaries for missionaries Feb. 2 at St. John Neumann Center, Philadelphia. 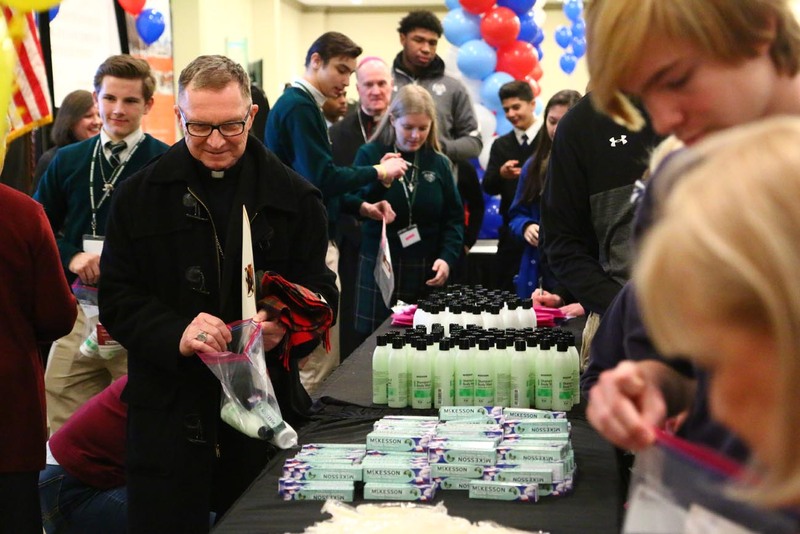 Bishop Edward Deliman works with students to fill bags of personal items for seniors. Bishop Michael Fitzgerald gets into the spirit of the day by working with students to help home-bound seniors throughout the region. 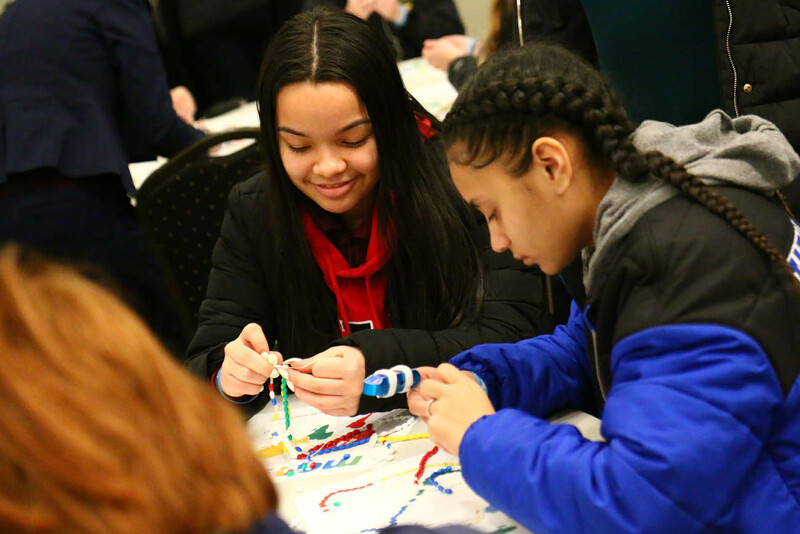 Students also make multi-colored rosaries, emphasizing the church’s missionary activities, for the archdiocesan Pontifical Mission Societies. 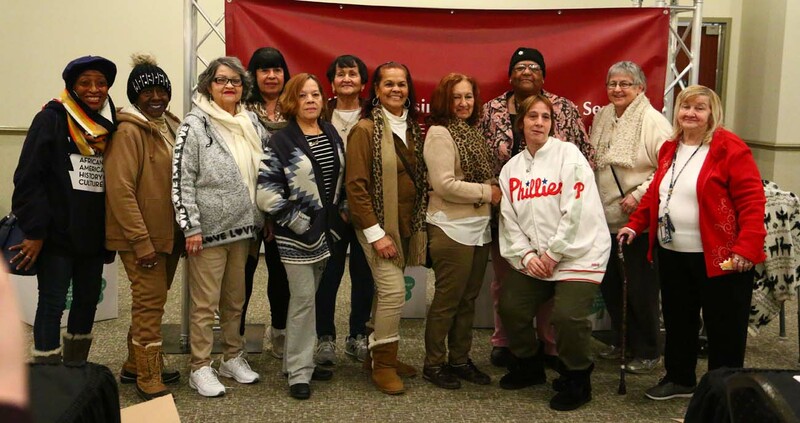 A group of volunteers and participants with the archdiocesan eldercare ministry joined in the day of outreach for the people they serve throughout the region. 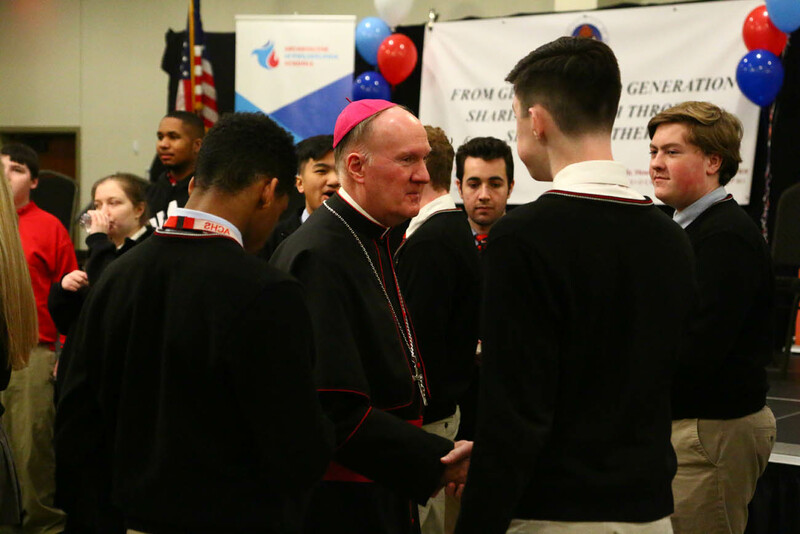 John Wagner, deputy secretary of Catholic Human Services and CEO of Catholic Housing and Community Services, tells the students of the impact of their work on the elderly. 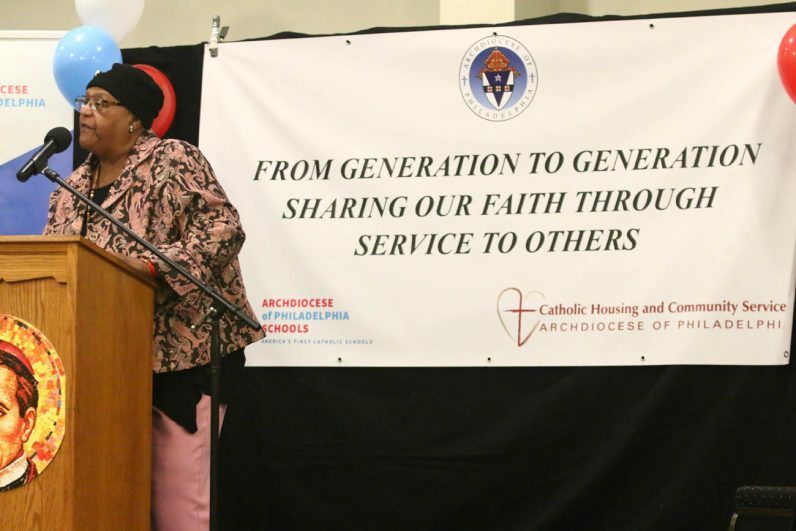 Kay Brown, a longtime member of St. Charles Senior Community Center in Philadelphia, talks to the students at the Catholic Schools Week event. Officials of Catholic education and social services pitched in to help the effort.